Humor is what can save even the worst writing if it’s acceptable. Starting an essay with a hook sentence like a joke or anecdote may grab the reader’s attention from the first line. Still, one should be careful when using humor in essays unless the goal is to write a humorous essay. This article explains what this type of writing is as well as how to write such paper step-by-step. Let’s start with a humorous essay definition. A humorous essay is a type of writing an assignment that aims to reveal a writer’s sense of humor and make the audience sympathize him or her with the help of jokes, anecdotes, and other techniques used to make people laugh. Usually, it belongs to narrative writing. The primary goal if this essay is to amuse the audience instead of informing or convincing them. Probably the most wholesome sources would be playful essays written by famous authors. If you would like to put a smile on your reader’s face, keep on reading how to write an essay focused on humorous sides of various topics. 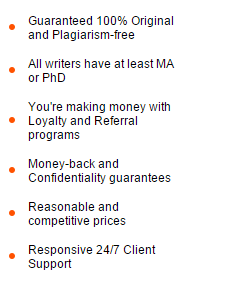 Make sure your final paper adheres to these features. As to the topic, it is half the battle if you choose the right one! It’s apparent that a student should not select sensitive issues like suicide or gender inequality to make fun of it – it will have the opposite effect. Avoid topics that you do not completely understand as you may fail miserably trying to joke about serious things that you simply get wrong. Try to select issues that people are concerned about to make them interested. Showing the funny sides of political debates may be a good idea, but watch out – do not go over the top with your witty comments. A humorous paper has a structure similar to any other essay. You should divide the entire piece into the beginning, body, and concluding paragraphs. Your reader should be able to follow the train of thought, so do not overwhelm your paper with jokes alone. Some smart points that make sense should present as well. The writer should format an essay based on the chosen style! No matter which paragraph you write, your humor must be genuine and sincere. Otherwise, your writing will not appeal to anyone’s heart. Let your jokes be natural and lighthearted. A nice idea would be to play with contrast, but do it only if you understand how. If you manage to contrast funny with mundane, you will succeed with your paper for sure. Just as bittersweet taste in food, the mixed moods in essays attract more attention than those written in a single tone. It is easier to spark laughter by including some contrasting moments in your paper. Where to Get Urgent Help with Academic Writing? Do not pay much attention to personal humor – take it easy! You can hire a professional team of writers from our academic service to share their humor with you. They will write the funniest essay ever if you want to make your audience laugh out loud. Try our services now – place an order on our website!